This photo was taken at the first stop of my 2005 fall color photo trip. About a half hour after leaving my hotel in Carbondale, I drove through a low section where the fog was beginning to clear and I captured this image before continuing on. 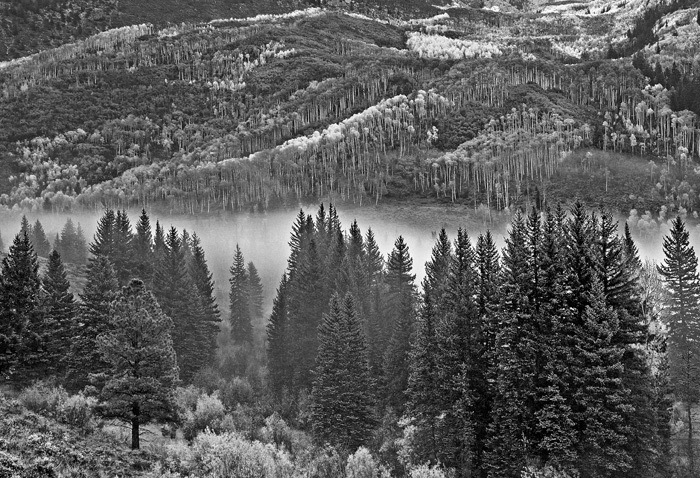 I like the spruce trees in the foreground with the fog lifting from the aspen covered slopes. Photo © copyright by Mike Barton.